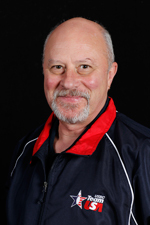 The best bowling coaches in the world are invited to the International Training and Research Center (ITRC) in Arlington, Texas, next March to take part in the inaugural World Bowling Coach Conference. In conjunction with World Bowling (the World Tenpin Bowling Association), the world governing body for the sport, the ITRC staff will host the educational conference on March 28-30, 2014. One key topic for discussion will be the establishment of a Global Coaching System. A task force of coaches has been working with World Bowling to review international coaching programs and curriculum. “There are several excellent coaching certification and rating programs in different regions of the world, but no common system to compare credentials. This conference will be a great opportunity for the best coaches in the world to exchange ideas and discuss the concept of worldwide coaching standards.” (pictured right) said. World Bowling has three zones for bowling – American, Asian and European – and more than 110 member federations. 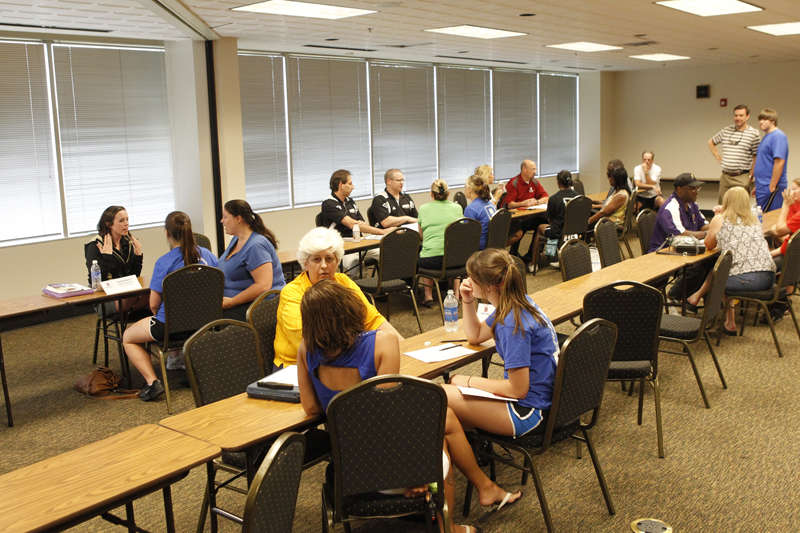 The conference will have presentations from nationally-recognized coaches from each zone as well as ITRC coaches. The Pan American Bowling Confederation (PABCON), Asian Bowling Federation (ABF) and the European Bowling Federation (ETBF), along with the United States Bowling Congress and Kegel, a leading company in the industry, are supporting the start of a World Bowling Coach Conference. “A key mission of the ITRC is to be a resource for all bowling coaches and federations so we are eager to be a partner in the World Bowling Coach Conference concept,” said Rod Ross (left), director of the ITRC and head coach of Team USA. In addition to the top coaches who will present at the conference, any international or domestic coach is invited to attend the inaugural World Bowling Coach Conference. For more information on the conference, fees, schedule details as well as registration are available at the conference website. The International Training and Research Center played host to the 2012 Junior Team USA Training Camp this week, where 20 elite players focused on everything from axis tilt and lane play to the importance of team work and accountability. That talent includes 2012 USBC Team USA Trials winners Danielle McEwan and Marshall Kent, who bowl for Fairleigh Dickinson University and Robert Morris University respectively. Their Team Trials titles qualified them to represent the United States at the 48th QubicaAMF World Cup in Poland this November, marking the first time both representatives of the U.S. at that event will be from the junior team. Perhaps no player epitomizes the depth of talent on Junior Team USA’s current roster than 14-year-old Kamron Doyle, who became the youngest player to cash in the history of the U.S. Open earlier this year and is the youngest player ever to qualify for Junior Team USA. Junior Team USA members will await word on which eight players will get that chance to compete for their country at the 2012 WTBA World Youth Championships, which will be held June 22 – July 3 in Bangkok, Thailand. The team’s talent level may be an exciting prospect for Ross, but it also makes for some very tough decisions. A wealth of objective information will factor into that decision, much of it gathered during training camp this week, including data on everything from axis tilt and rev rate to ball speed, accuracy and even the players’ athleticism in the ITRC fitness center. But beyond the video analysis, hours of practice on various lane patterns and classroom discussions, it is the quality of the individual that Ross and the entire Team USA coaching staff emphasize most. The ITRC is home to some of the most innovative and cutting-edge coaching technologies available in the bowling industry today, including high-speed video cameras, motion-capture devices, foot-pressure sensors and goggles enhanced with cameras to show exactly where a player is looking during the approach and delivery. A DVR system also is in place and can record any video feed to let a bowler see what they did on their last shot as soon as they step off the lane. 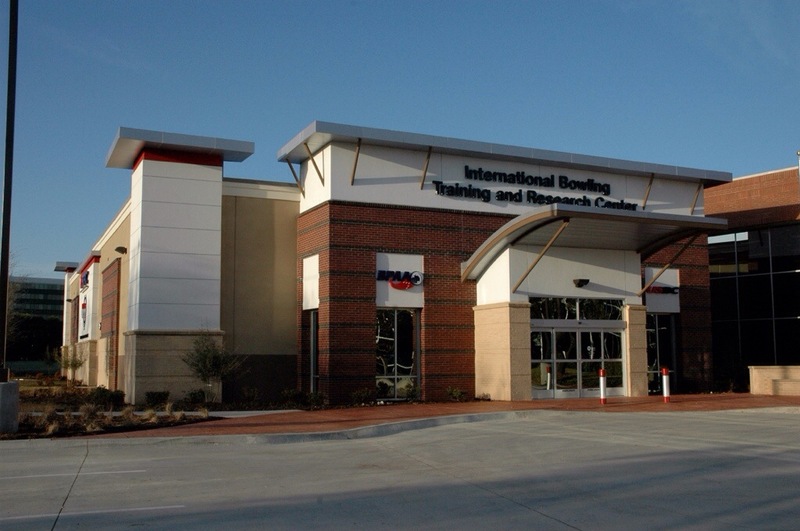 A United States Olympic Committee-recognized training center, the ITRC is a joint venture of USBC and the Bowling Proprietors’ Association of America. It is the most innovative and advanced training, research and testing facility in the sport of bowling with 14 lanes for training and six for research and testing. After selling out in its inaugural year, the Bowling Combine for College Prospects will return in August with expanded capacity to help bring youth bowlers together with college coaches. The Bowling Combine, which will be held Aug. 7-11 at the International Training and Research Center, will allow young bowlers to be evaluated using today’s most objective standards and give college coaches a chance to analyze the potential fit of the student-athletes for their programs. The Bowling Combine is open to bowlers who have collegiate eligibility remaining and have completed at least their sophomore year in high school. Space is limited and those interested are encouraged to sign up early. At last year’s combine, nearly 20 college coaches attended and several bowlers signed with college programs as a result of their participation in the event. Mike LoPresti, who has led Fairleigh Dickinson University to two national titles, attended last year’s Bowling Combine and said the ability to evaluate so many bowlers in a short period of time made it worth the trip. 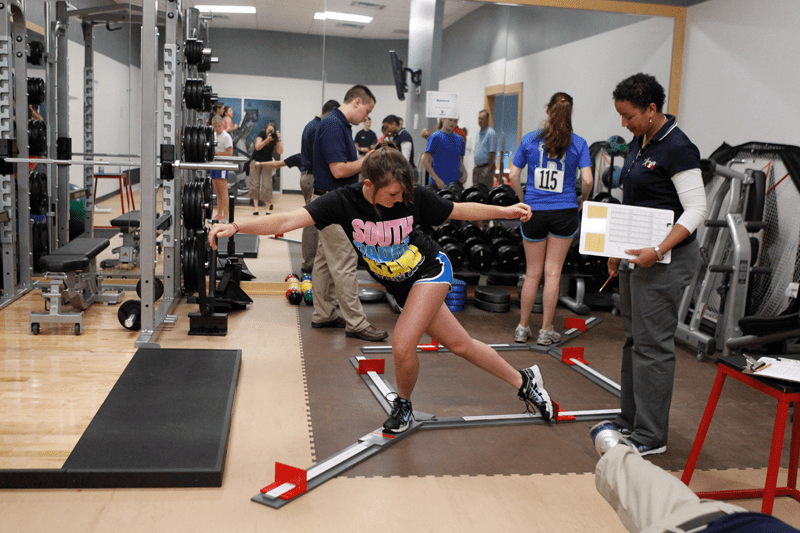 Athletes will be tested on specific skills and provided an overall score using the Performance Evaluation Test (P.E.T. score). These scores are an objective measurement of the bowler’s abilities and can be used to compare the bowlers against each other. The Team USA coaching staff will direct and evaluate the bowlers during the Combine at the ITRC, the official training center of Team USA. The ITRC has state-of-the-art technology including Bowler Vision Eye Tracking, DigiTrax(tm) ball motion technology, video analysis and more. Some of the bowler’s skills that will be evaluated include Shot Repeatability Analysis, Release Ratio, Spare Proficiency, Breakpoint Management, Vertical Leap, and Balance Test. The tests at the Combine are used to evaluate a bowler’s skills and abilities; this is not a coaching clinic. Bowlers will receive a Recruiting Kit at the conclusion of the Combine. The kit will have video shots and bowler variables measured, and a detailed report of personal data collected during the Combine including their overall P.E.T. score. Coaches will receive an evaluation of each bowler and will have the opportunity for one-on-one contact with prospective student-athletes. With the top training tools and evaluation systems in the world, the International Training and Research Center has attracted national teams from across the globe. Now one of Europe’s leading bowling programs has joined the growing list of nations using the ITRC as a temporary training home. While Denmark might be the reigning men’s and women’s European team champion, both teams decided to make the trip to Arlington to see if they might discover that extra edge before they attempt to defend their titles this summer. They are the first European team to train at the ITRC. Last summer, Denmark topped Finland to claim the Men’s European Championships team title and Denmark won the five-player team competition at the 2010 Women’s European Championships. The women will look to defend their title in June while the men will look to do the same in August. Ross said the training will not stop for the Denmark teams once they leave the ITRC. Several national teams have trained at the ITRC, including the Dominican Republic, Chile and Singapore. Following its training session, the Dominican Republic had its best performance at the 2010 Central American and Caribbean Games with three gold medals and one bronze medal. The ITRC has some of the most innovative and cutting-edge coaching technologies available in the bowling industry today, including high-speed video cameras, motion-capture devices, foot-pressure sensors and goggles enhanced with cameras to show exactly where a player is looking during the approach and delivery. A DVR system also is in place and can record any video feed to let a bowler see what they did on their last shot as soon as they step off the lane. The ITRC also is the home training center for Team USA and Junior Team USA. HONG KONG – For the first time in nearly a quarter century, Team USA claimed the five-player team gold medal Saturday at the 2011 World Tenpin Bowling Association World Women’s Championships. Team USA’s Kelly Kulick, Carolyn Dorin-Ballard, Shannon O’Keefe, Shannon Pluhowsky and Liz Johnson came out on top in the gold-medal match by defeating Singapore, 1,210-1,140, in the one-game match broadcast live on BOWL.com from Hong Kong Bowling City. Johnson led the effort by starting with nine consecutive strikes and shooting a 279 game. She was followed by Pluhowsky (256), Kulick (244), O’Keefe (226) and Dorin-Ballard (205). Stefanie Nation did not compete in the championship match, but was a part of the semifinal win for the Americans, who last won the team event in 1987 and took the silver medal in 2005, 2007 and 2009. The Singaporeans were led by Jazreel Tan’s 269 game and she was joined by Shayna Ng (240), Cherie Tan (224), New Hui Fen (214) and Daphne Tan (193). Team USA trailed early in the championship match as Singapore got off to a hot start, but the Americans slowly chipped away at the lead. The match turned in the seventh frame when the United States began a string of 15 consecutive strikes as a team. In the semifinals, the fourth-seeded Americans took down top seed Germany, 1,080-970, while No. 2 seed Singapore defeated Colombia, 1,225-1,103. The semifinals losers shared the bronze medal. The all-events competition also wrapped up Saturday as Denmark’s Mai Ginge Jensen took the gold medal with a 24-game total of 5,744, an average of 239.33. Canada’s Caroline Lagrange earned the silver with 5,687, while Pluhowsky took bronze with 5,607. The top 16 players in the all-events standings advanced to Sunday’s match play Masters. Three Americans made the field – Pluhowsky, Johnson and Kulick. Dorin-Ballard missed the cut by one pin, while O’Keefe missed by 10 pins. The 2011 World Women’s Championships features 171 bowlers from 33 countries. The teams are competing in six disciplines – doubles, trios, team, singles, all-events and match-play Masters. Before finding unprecedented success at major international events this summer, several teams spent quality time training at the International Training and Research Center. Teams from the Dominican Republic and Singapore found success in major events after training at the ITRC, located at the International Bowling Campus in Arlington. The ITRC is the home training center for Team USA, and both the Team USA men and Junior Team USA squads trained at the ITRC before successful campaigns at world championship events. The Dominican Republic had its best performance ever at the Central American and Caribbean Games in Mayaguez, Puerto Rico, taking three gold medals and one bronze medal. Upon returning home from the event, Dominican Republic head coach Craig Woodhouse said the team was greeted at the airport by two television stations and 100-plus people waving Dominican flags. 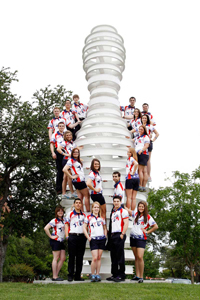 Team USA’s training at the ITRC helped its men’s team to a record-setting performance at the 2010 World Tenpin Bowling Association World Men’s Championships in Munich, Germany, as the squad brought home five gold medals in six events, the most by any country in the history of the event. Junior Team USA, meanwhile, earned two gold medals and three silver medals at the 2010 WTBA World Youth Championships in Helsinki, Finland, marking the best performance for the U.S. youth team in the event since 2004. More than two months after training at the ITRC, Woodhouse said his Dominican Republic team is still reaping the benefits of the trip and utilizing information the team gathered. The Singapore women’s national team visited the ITRC for a week between the USBC Queens and U.S. Women’s Open. The team had three players advance to match play at the U.S. Women’s Open, and at the World Youth Championships in Helsinki the Singaporeans took home two silver medals and a bronze medal. Another team is hoping its trip to the ITRC will pay off at a major international tournament. The women’s national team from Chile visited the ITRC this week in advance of the 2010 Pan American Bowling Confederation Women’s Championships, which begin Monday in suburban Las Vegas. 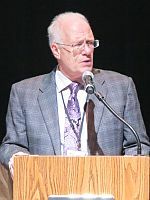 Other technology includes Computer-Aided Tracking System, known as C.A.T.S. which consists of a series of sensors placed along the lane that measure aspects of a bowler’s game such as ball speed, accuracy, launch angle, and break-point control. CA.T.S. is combined with BowlersMAP, which breaks down video of the players, to give the athletes a real-time look at their game. A United States Olympic Committee-recognized training center, the ITRC is a joint venture of the United States Bowling Congress and the Bowling Proprietors Association of America. It is the most innovative and advanced training, research and testing facility in the sport of bowling with 14 lanes for training and six for research and testing.